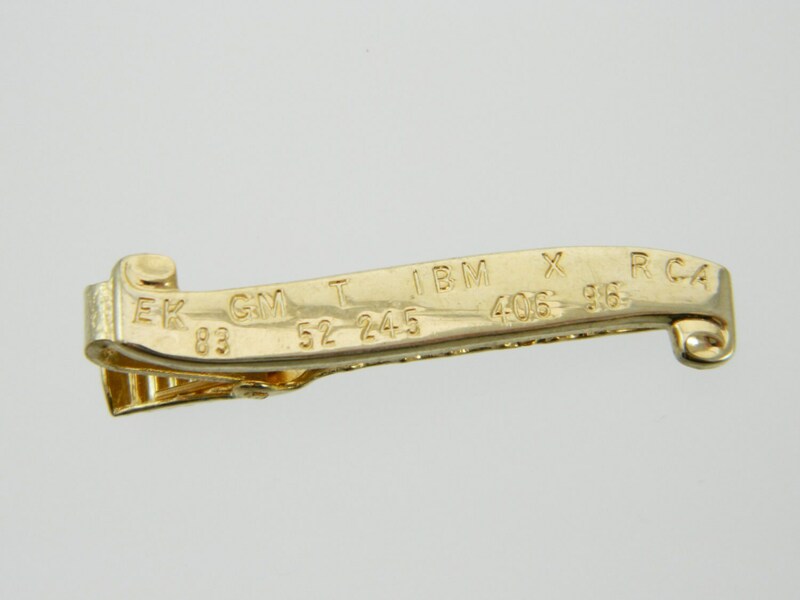 Gold Stock Ticker Tie Clip. Gold Tone Stock Symbols Tie Clip. Perfect for skinny ties.